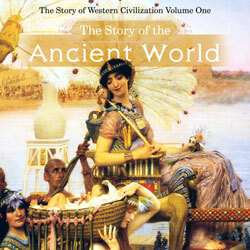 From the creation of the world through the fall of the Persian empire at the hands of Alexander the Great in 331 BC, The Story of the Ancient World retells as an engaging narrative the history of mankind’s beginning, the rise of the nations, and the story of the great ancient civilizations of the Sumerians, the Hebrews, the Egyptians, the Phoenicians, the Assyrians, the Babylonians, and the Persians. Old Testament history is taken as authoritative, and the history of the other great ancient civilizations is also told, woven in and out of the Old Testament story at the proper places in the narrative. 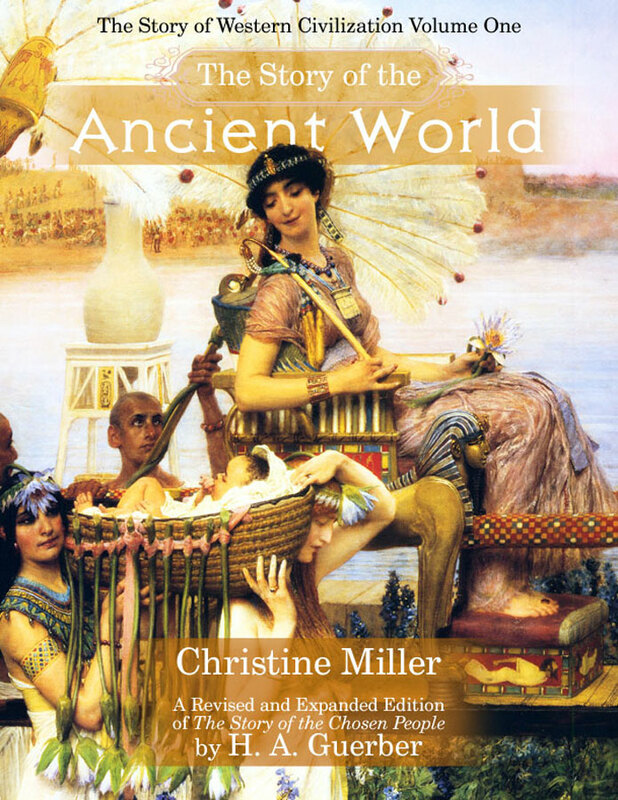 As the story of the entire ancient world was never completely told in a single volume of Guerber’s histories, Christine Miller has taken Guerber’s The Story of the Chosen People and has included chapters relating the history of the Sumerians, Egyptians, Phoenicians, Assyrians, Babylonians, and Persians, and has woven them all together into a single, seamless narrative, carefully preserving Guerber’s own style. 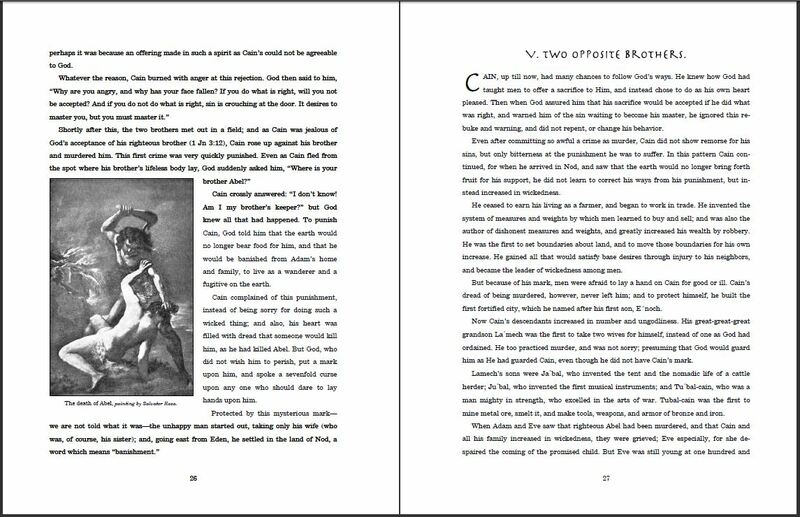 An extensive bibliography of sources is included.As with the other Guerber histories published by Nothing New Press, The Story of the Ancient World is illustrated throughout with famous paintings of its historical subjects, and photographs of the places it describes. Not only are maps present in the beginning of the book, but throughout the text as well, which greatly aid in making the narrative more clear. And as with the other Guerber histories, the pronunciation of personal and place names are carefully marked in the text upon their first occurrence. A complete timeline of the events and persons mentioned in the text, a comprehensive Recommended Reading list keyed to the chapters, and a thorough bibliography and index rounds out the book.